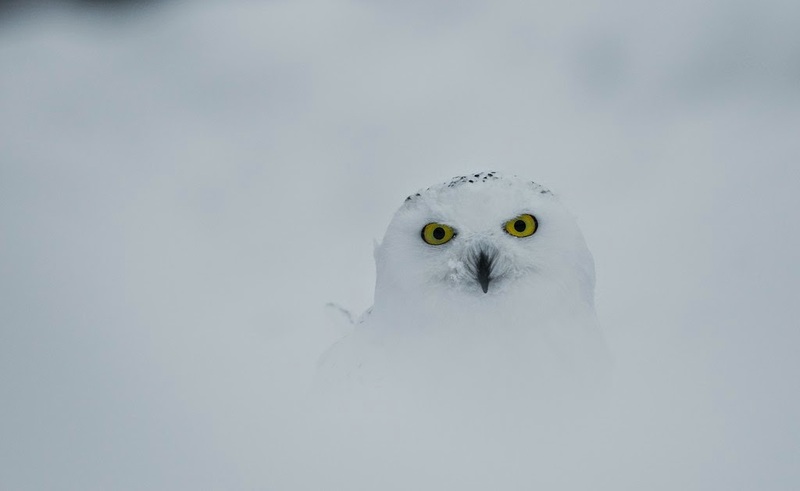 Here are a few of my favourite snow photos I have. A few years a go now we had nearly 2 foot of snow around the Centre, it was the most I can remember seeing, and in many places on the reserve it drifted up to 4 foot. I remember taking Bess round the reserve one evening thinking it wouldn't take much longer... but a quick twenty minute circuit turned in to an hour of trenching through the snow. I managed to get a couple of nice photos of her though, which you may have seen in the post I did on Bess a couple of weeks a go. 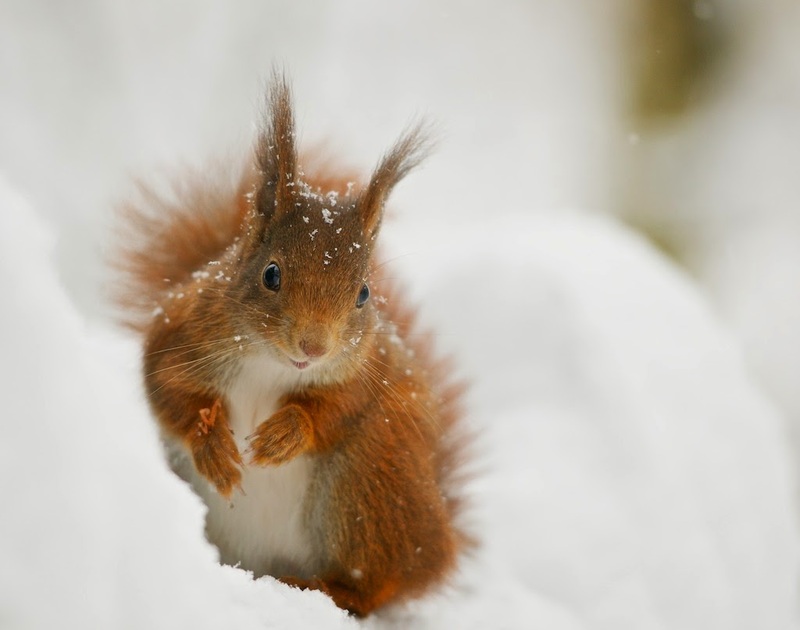 Above is one of my favourite red squirrel photos. 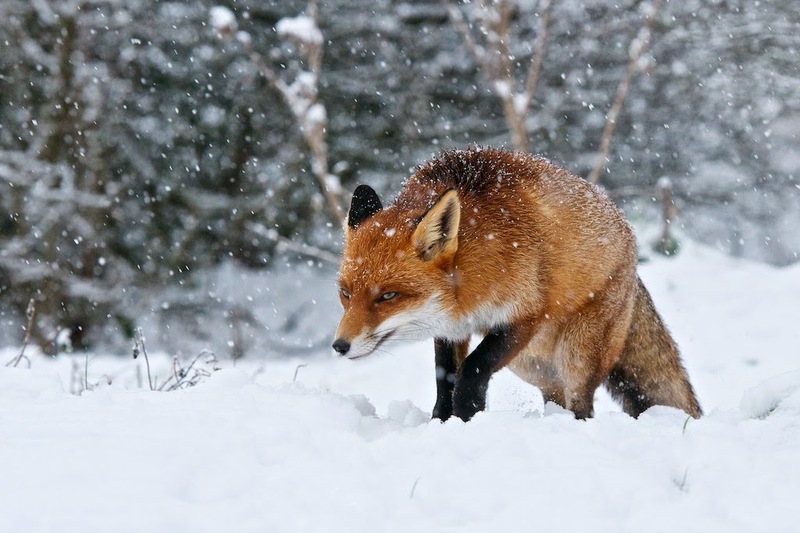 The snow always brings a conflict of thoughts for me. I do enjoy it while it is pure and white, and love how vibrant it makes the works appear. I like colour, and the natural white background makes the colour really stand out. For photography, this is great, and I missed not having any snow earlier this year to experiment with. Near the top of my list when the snows fall is to get Hedwig out and take him to the reserve for a photo shoot, although that being said, one of my faves of him... above... was taken in the Dell. Don't get me wrong, that isn't a complaint, I enjoy it... and the keepers are so good at trying to get here all weathers, it has been a rare occurrence that I have been on my own, but it is all things we need to account for. 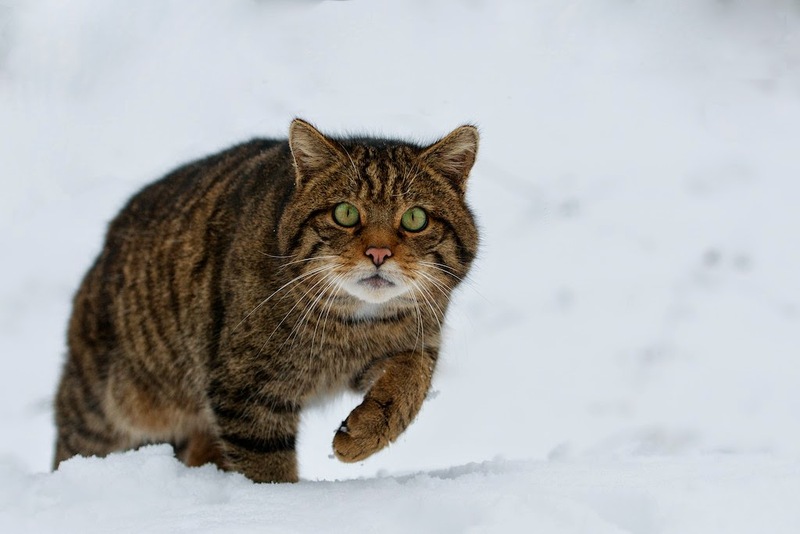 For me, the wildcats are one of the best animals to see in the snow, and it is really where they belong. They look amazing in it, and this is one of my favourite photos of them in the snow. Lex, peering around a trunk where the snow has drifted up it by about 3 feet. 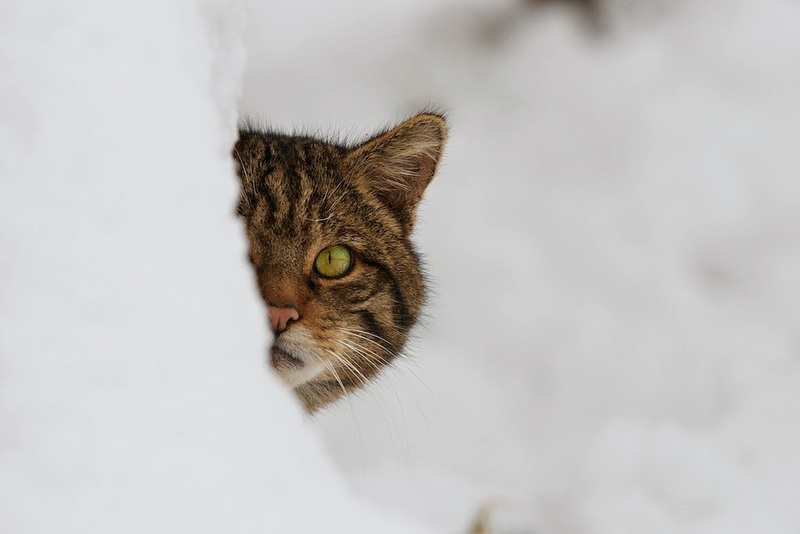 Not as many British mammals hibernate as people think... only the hedgehog, dormice and bats. 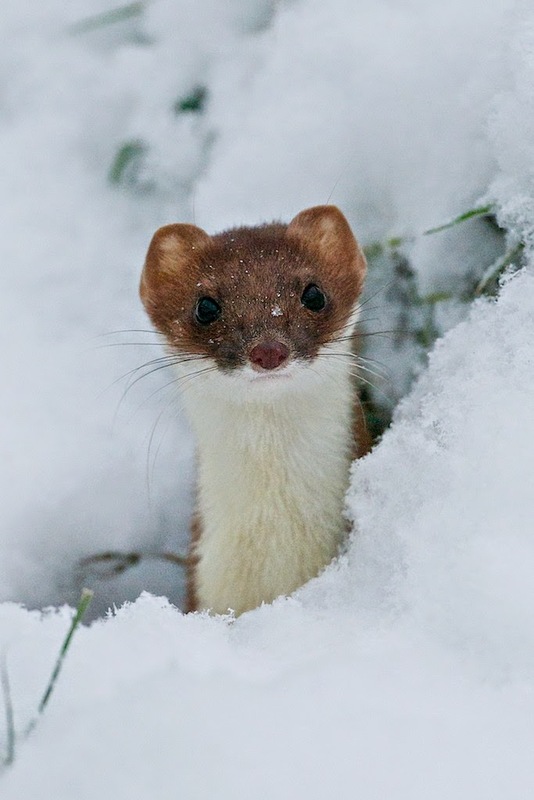 Others like badgers, squirrels and this stoat are still active but do cut down there activity a lot and hunker down to keep warm. 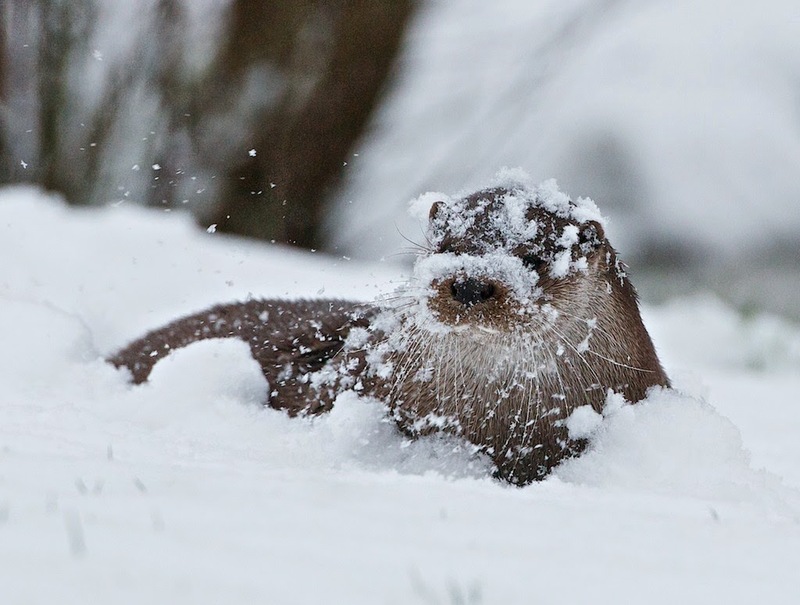 The otters love the snow, almost as much as the foxes, and often run around in it. 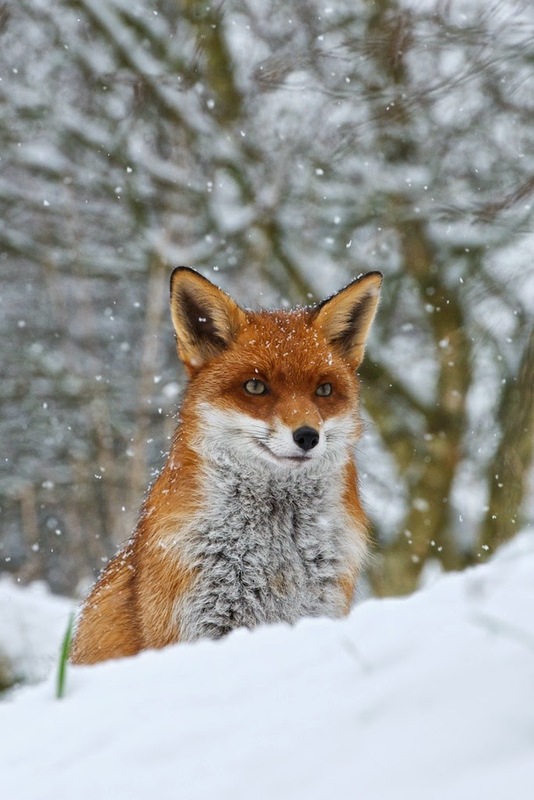 They are very playful animals and love the colder weather, really enjoying playing in the ice too. 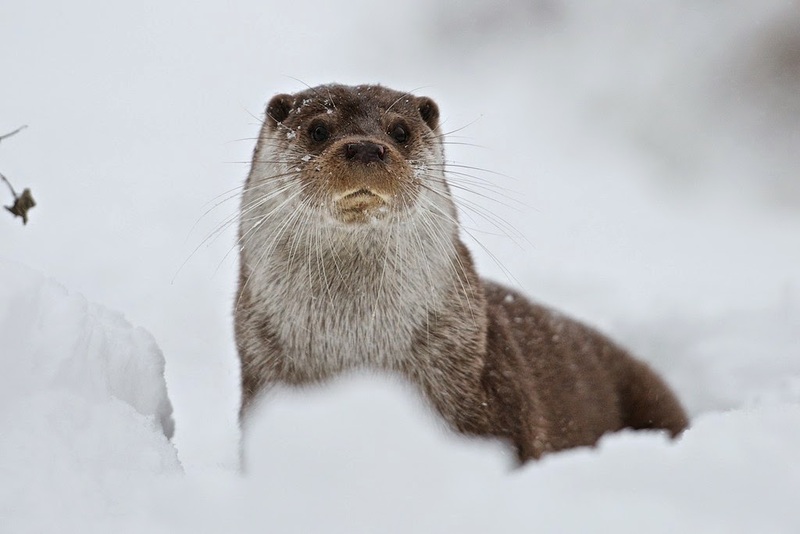 A lot of people don't go out with their cameras in the bad weather like rain or when it is actually snowing, but this can lead to some great pics that not many people get as they are indoors or concerned about their cameras getting wet. Cameras these days are pretty good at being weather resistant, and you can always through a plastic bag over your camera to protect it. 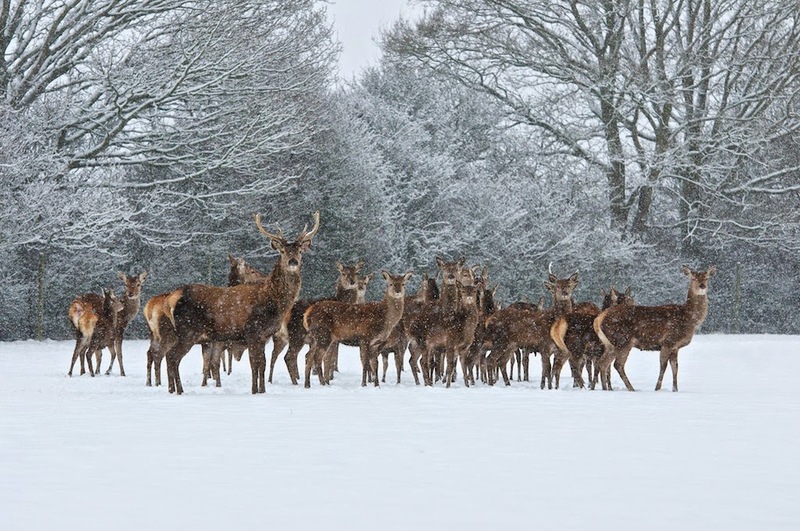 I have only once been around when it was snowing at the Centre, but I tried to make the most of it with a few owls, foxes and deer. 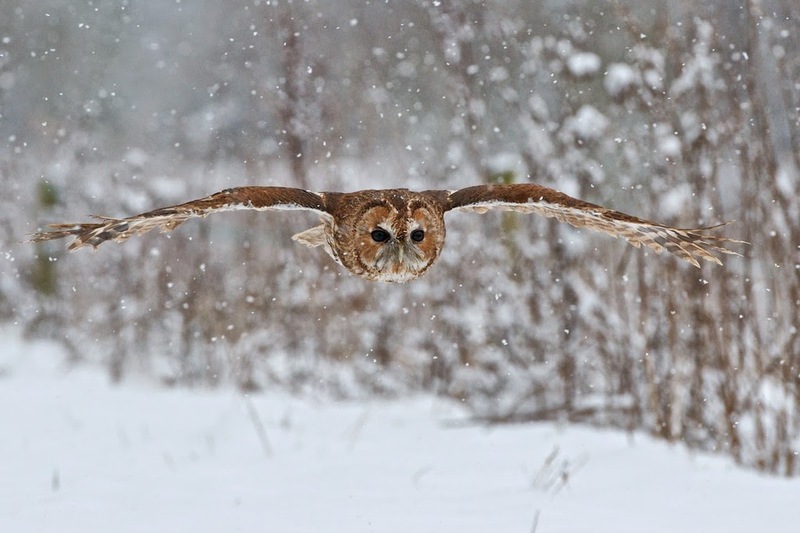 Florence flying in the snow, they seem to get less wet in snow than in rain and so we can get away with flying them. Enjoying playing in the snow and catching snow drops... 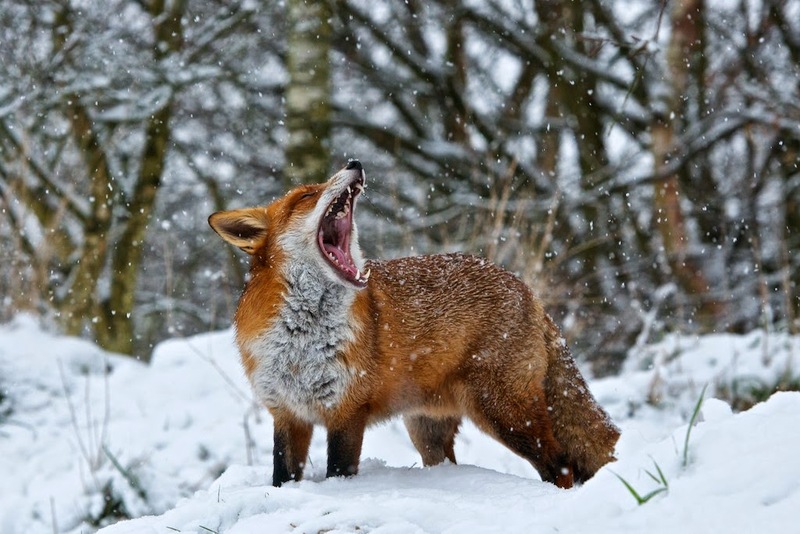 I think of all our animals the foxes enjoy it the most. 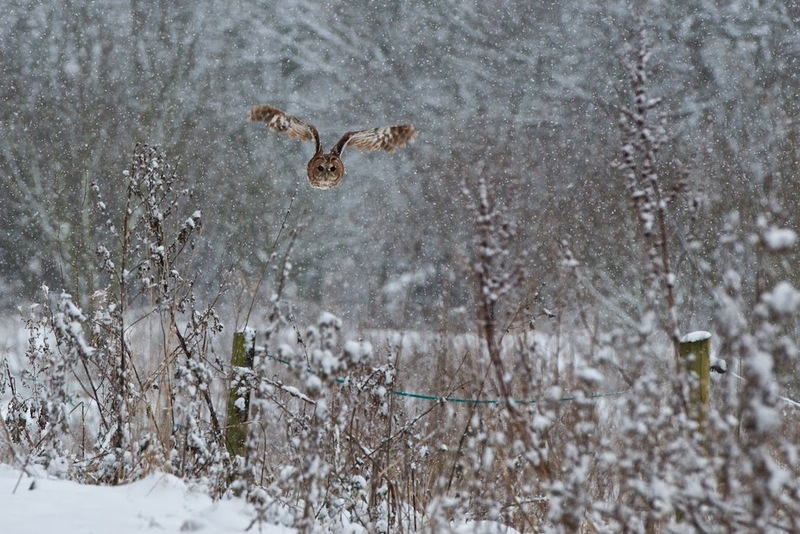 And I quite like this one, it looks more wild with her battling agains the wind and snow to move. The last lot of snow we had fell just before an Andy Rouse owl workshop, so I went out the day before to scout out some new positions that would work well with the snow. 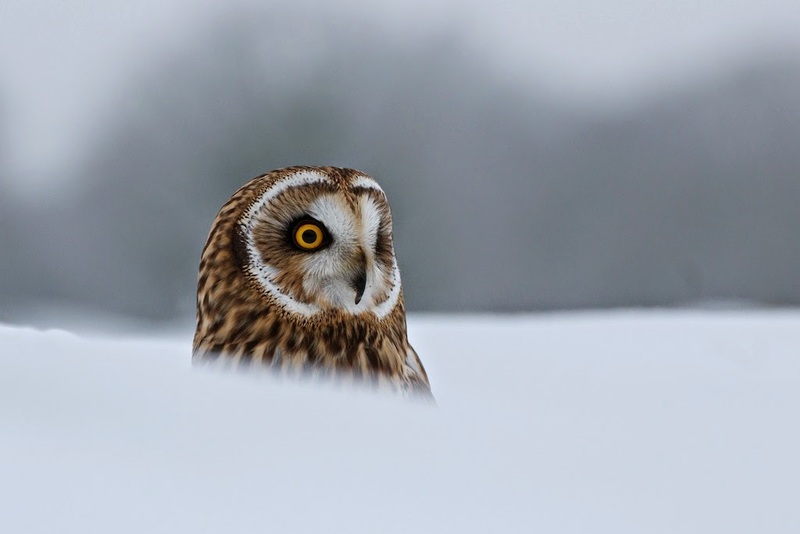 While out there I took some nice close portraits of some of our owls. 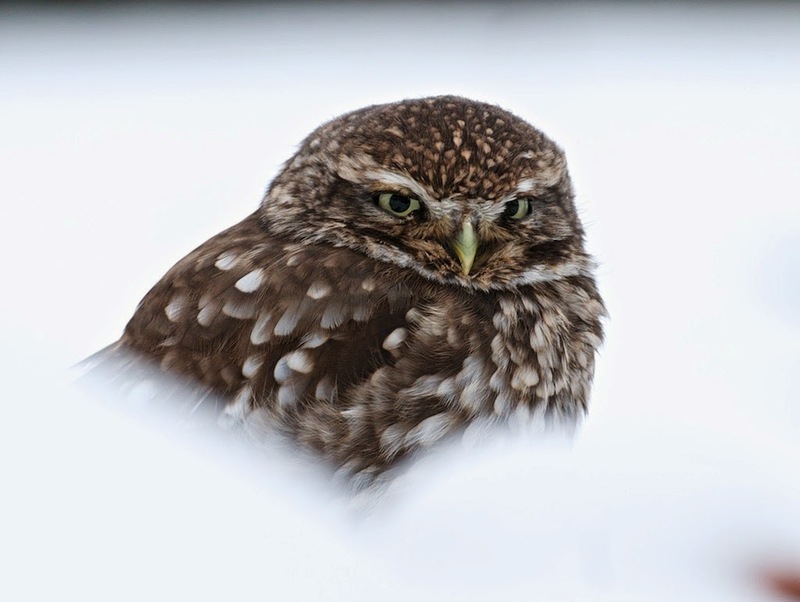 The little owl really fluffed himself up to keep warm. 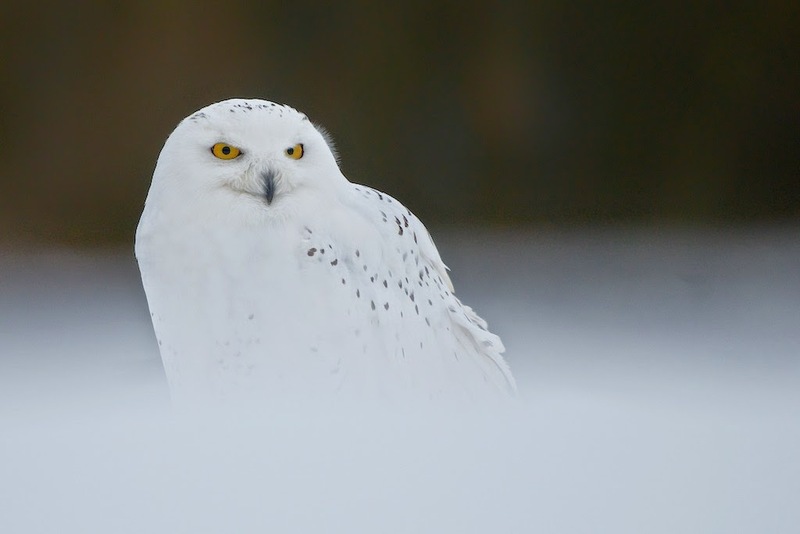 This one of the snowy was taken on the Andy Rouse workshop day. 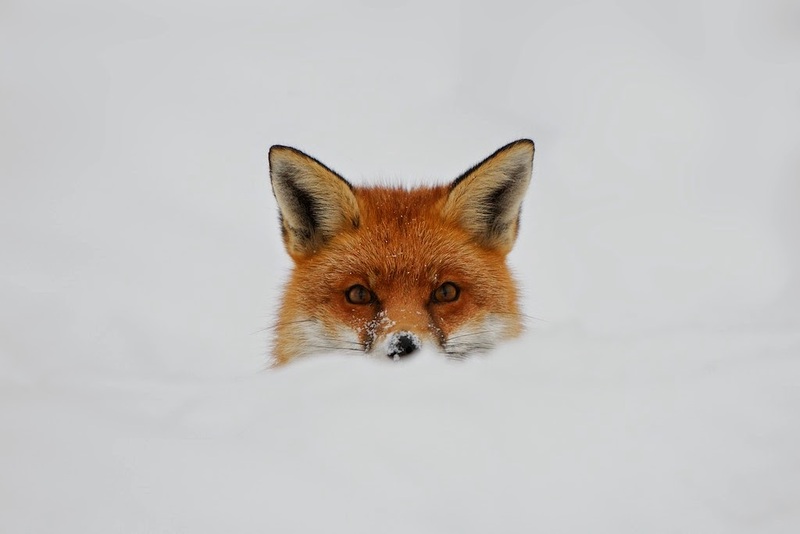 Fox in snow is one of my more popular pictures, and was lucky enough to win a place in the Country file calendar a few years a go... This is when I first learn't how bitchy photography can be, reading comments on forums about this and others photos. Good came from it though, as it gave me the relaxed attitude that I now have towards photography and taking pictures and means I enjoy it far more. 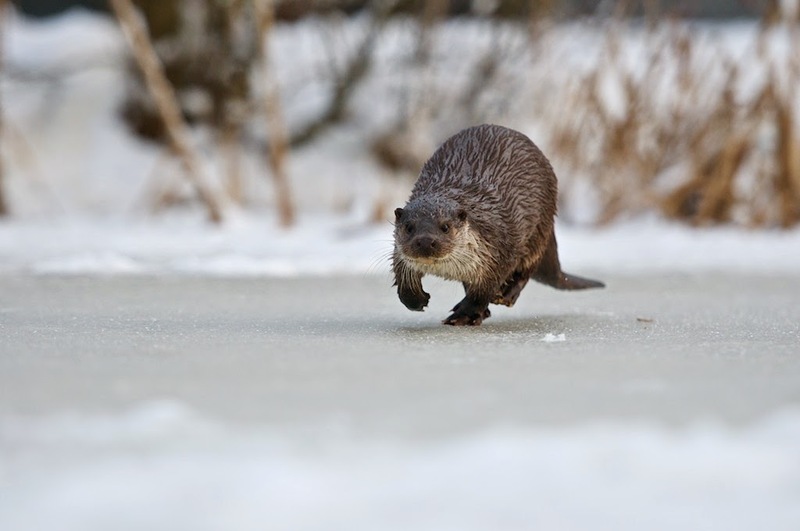 Simple otter portrait that was one of our many Christmas cards over the years, and below Lilly running over the ice.